One of the most underused features of Android 4.2 since it launched would be Daydream. A mode that allows your phone to sit idle and show you news and information sounds interesting, but only for people who have 4.2 and a dock for their device or use it while charging. 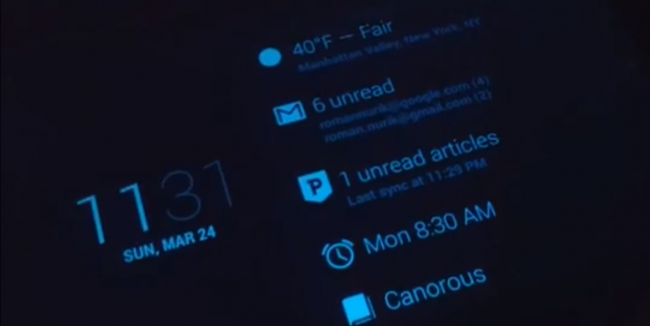 Roman Nurik, creator of the popular lockscreen application Dashclock posted a teaser video today showing off an upcoming update that makes Dashclock available during Daydream mode. When active, the clock floats around the screen along with the Dashclock extension, but “as you touch the screen, the clock and your extensions zoom up to let you dive into the details.” Further on in his post he said that the update should be in version 1.5, and we are already on 1.4.3, so we should expect this to come “in a few weeks” while he is preparing for Google I/O.